We’d been walking for hours and we were about to give up. 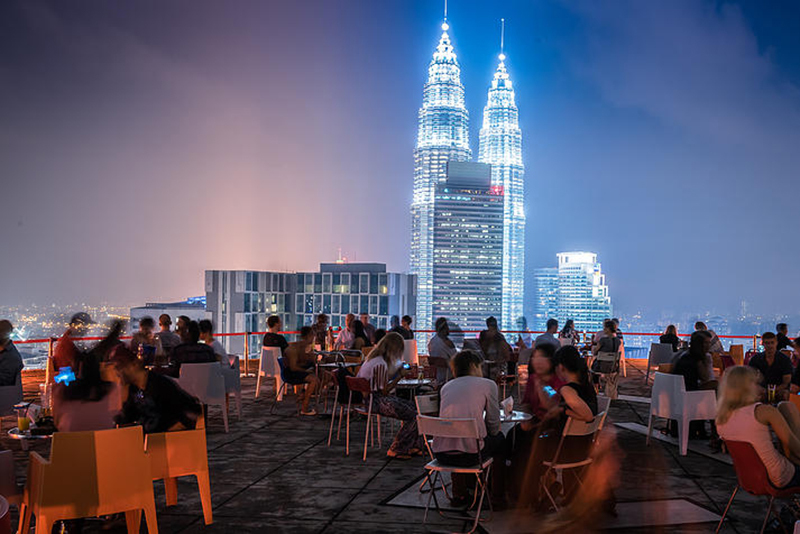 I’d read online that there was a bar in Kuala Lumpur that happened to be on top of a working helipad. 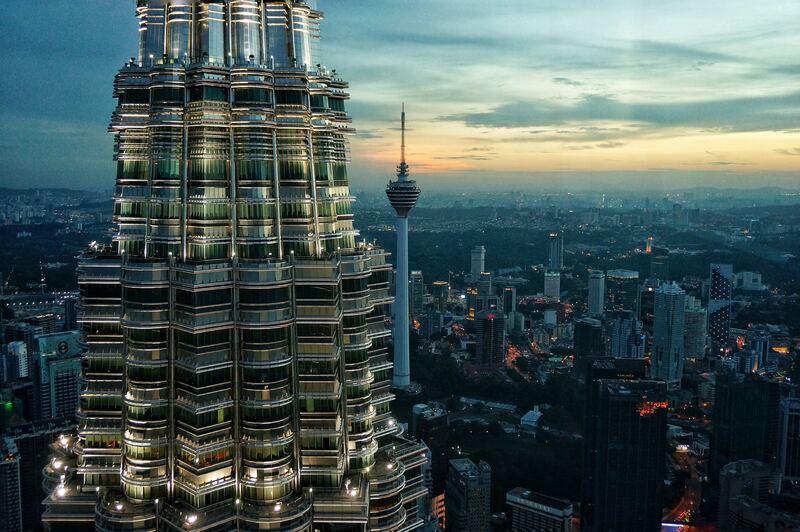 By day it was a working helipad, by night it had the best views of the Malaysian capital. But we just couldn’t bloody find it. We must have walked up to so many tall buildings and we were about to give up when suddenly we came across a group of people walking into a building. And yes, it was the Helibar. We got into the lift and went up to the top floor and entered the inside section of the bar. Then there’s some steep steps to climb before you’re outside. And then the view hits and it’s stunning. 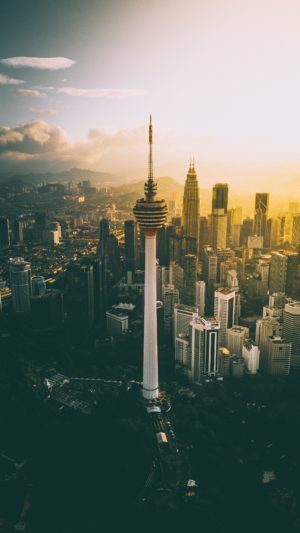 Although you can visit the KL Tower or climb up to the top of the Petronas Towers, the Helibar gives you a chance to get a 360 degree view of the city with all of the skyscrapers in. Of course the drinks are a little pricey but it’s definitely worth it. They even have a happy hour too. 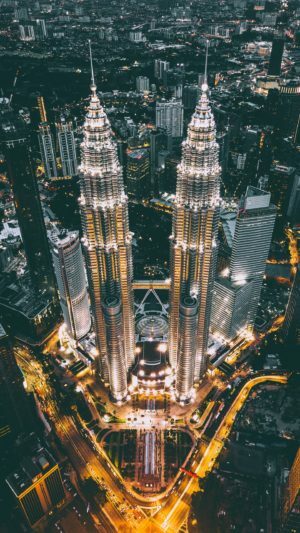 If you want to sit right across from the Petronas Towers its best to book it as it gets busy very quickly. So we managed to get a seat on the top of the Helibar and ordered two Long Island Iced Teas. The ultimate holiday drink. In fact we ordered two each. It felt a bit odd being so high up with little to stop you from falling off (they keep you quite far back from the edge). We sat back and talked when all of a sudden we saw fork lightning in the distance. It was amazing to watch it and try and keep track of it. After around two hours of playing weather presenters, the rain came in and we were told to head inside. We saw that as our cue to leave and look for some food. I took one last look at the view and climbed down those steep stairs. I’d completely forgotten the stress of getting there. 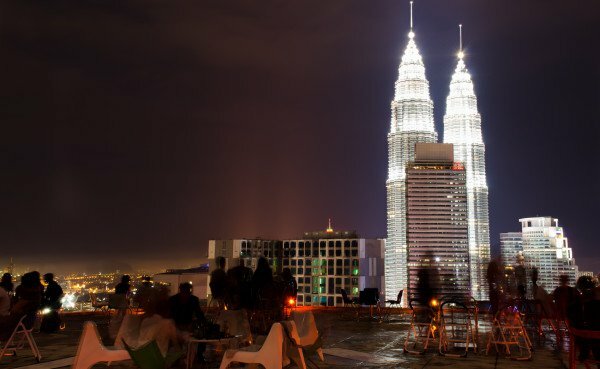 Helilounge is located at: 34th Floor Jalan Sultan Ismail, Kuala Lumpur 50450. Good luck finding it! "The ultimate Hong Kong guide"
"Alternative Australia: How to spend two weeks in South Australia"